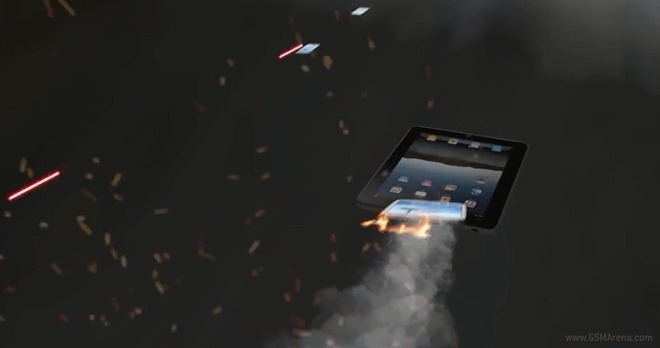 So there’s this fleet of iPhones and iPads that has just completed a hyper drive jump to the orbit of planet Earth, where they are attacked by a squadron of Galaxy S IIIs. An epic battle forms up and a surprising victor emerges. Okay, we are not going to spoil that for you anymore and we’ll let you enjoy the video.